It’s Tuesday, Florida State fans. As your week rolls along, keep it here for the latest in FSU athletics. The news and notes section of this post may be updated throughout the day. 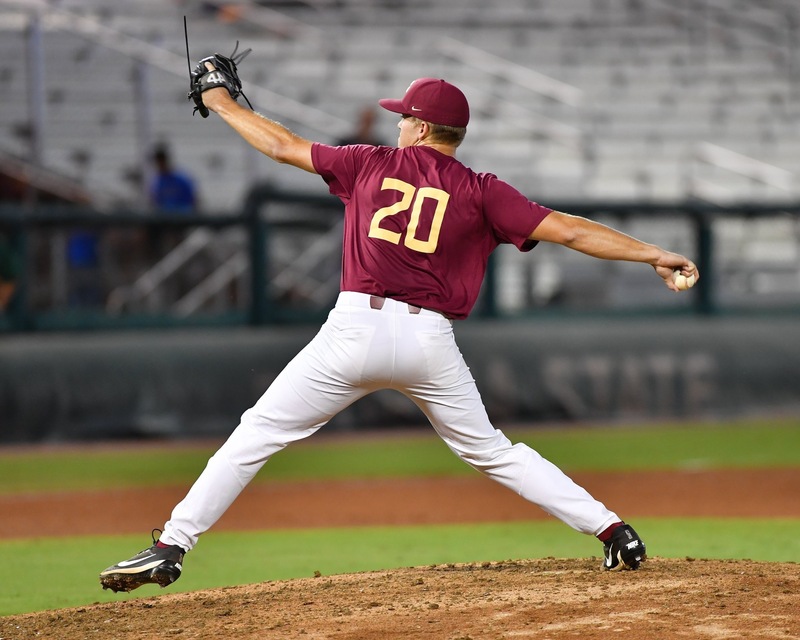 Before the 2019 season has even gotten underway, Florida State baseball is in search of a new midweek starter. According to multiple reports, junior pitcher Kyle McMullen will have season-ending surgery to repair his labrum. McMullen, a junior college transfer from Palm Beach State, was expected to be the No. 4 start for the Seminoles. With McMullen on the shelf, other potential midweek starters could include junior lefty Clayton Kwiatkowski, freshmen Cole Beverlin and Jack Anderson and sophomores Tyler Ahearn and Shane Drohan. The Seminoles open the season on Friday against Maine. FSU men’s golf is in first place after the first two rounds of the Mobile Sports Authority Intercollegiate on Monday. FSU wraps up the Mobile Sports Authority Intercollegiate on Tuesday. FSU beach volleyball will begin third in the AVCA preseason poll. FSU men’s hoops rose five spots in both the AP and USA Today Coaches Poll. FSU women’s hoops rose to No. 21 in the AP Poll. 4-star safety Nick Cross decommits from FSU and will sign with Maryland.